Relocating to a new house is stressful enough without having to worry about the logistics of an entire move. So when it comes to the heavy-lifting (literally), leave it to the professionals — professional movers, that is. Experienced Half Moon Bay, CA moving companies consist of expert movers and packers who can efficiently pack, move and assemble your Half Moon Bay belongings to ensure that you get off to a good start in your new home! Moving house can be an overwhelming experience with so much to do and often with very little time. 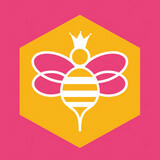 Queen Bee Packing understands that your possessions are priceless and our experienced team of women all with caring and compassionate natures are here to help make your move as stress free as possible. We carefully and meticulously wrap your items, organize the boxes and declutter all at the same time. From packing and unpacking, to home organization, Queen Bee Packing offers a complete service including decluttering, hauling, donations, cleaning & hanging of art. Whether you need a trusted professional to manage your entire move, or a few extra hands for a few hours we can tailor our packing services to fit your timeline, your budget and your belongings. We customize a plan based on your needs. 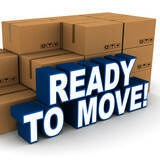 Queen Bee Packing will professionally and expertly take care of your move. Top10Movers is a family-run business that will provide you with incredible service 7 days a week and 24 hours a day for any move, whether it be local, long-distance, or corporate, with services ranging from storage to packing. Movers Mountain View is a family-run business that will provide you with incredible service 7 days a week and 24 hours a day for any move, whether it be local, long-distance, or corporate, with services ranging from storage to packing. Champions Movers is a family-run business that will provide you with incredible service 7 days a week and 24 hours a day for any move, whether it be local, long-distance, or corporate, with services ranging from storage to packing. 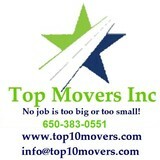 San Jose moving company specializes in affordable moving services both to and from the local area. Because we’ve been in the personal and business transportation service for over ten years – San Jose Movers have an extensive and proven track record of fast and dependable moving services. 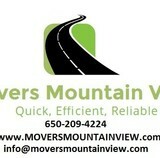 "BLVD Moving is the most trusted professional moving company. All you need to know: 5 star ratings on local directories Information and guidance throughout the the process Certified Moving consultants, Expert Packers and Movers 24/7 availability for moving and packing services Highly recommended among the areas most prestigious realtors & estate managers BLVD “Boulevard Moving” was founded by a few men and women with decades of experience from New York to Los Angeles. Our exceptional training program for new team members combined with unmatched leadership creates an environment that is not only conducive to loyalty from our management and staff but even more lends a sense of purpose. BLVD has a long history of providing exceptional service throughout all of Southern California and Nevada, ranging from the exclusive Beverly Hills, Bel-Air, Santa Monica, Pasadena as well as throughout Orange, San Diego and Ventura Counties. BLVD Moving provides services for every type of home imaginable from large estates to simple apartments. We will tailor the needs of each move and match them with a service specific to every customer. We provide guaranteed, no surprise moving quotes meaning you get the same price on moving day as you received during the quoting process. If you have ever moved before, you likely know that is not always the case. Your expectations should be high for whichever moving company you choose — and the right moving company will surpass even those." Movers Fremont is a family-run business that will provide you with incredible service 7 days a week and 24 hours a day for any move, whether it be local, long-distance, or corporate, with services ranging from storage to packing. Mod Vanlines is a family-run business that will provide you with incredible service 7 days a week and 24 hours a day for any move, whether it be local, long-distance, or corporate, with services ranging from storage to packing. "To consistently exceed our customers expectations with worry-free moving services, we rely on a foundation of the following core values. Provide Great Customer Service We strive to be responsive, friendly, and reliable, providing our customers with more than just an efficient relocation, but also a stress-free, positive experience. Build a Strong Team Our team IS our business, so getting the best people, providing training and support, and fostering an environment of teamwork is key in our ability to deliver reliable service, without exception. Deliver Value Affordability is important to our customers. While never taking short cuts with the quality of our services, we work to ensure that our prices are always fair and competitive." Movers Santa Clara is a family-run business that will provide you with incredible service 7 days a week and 24 hours a day for any move, whether it be local, long-distance, or corporate, with services ranging from storage to packing. We are a team of women that organize, pack and unpack any office & home. Our seasoned team of women will meticulously wrap and pack your valuables, organize your boxes and declutter all at the same time. We even color code each room to make it easy for the movers to place the boxes in the correct rooms and we provide an itemized list of contents. Movers Redwood City is a family-run business that will provide you with incredible service 7 days a week and 24 hours a day for any move, whether it be local, long-distance, or corporate, with services ranging from storage to packing.